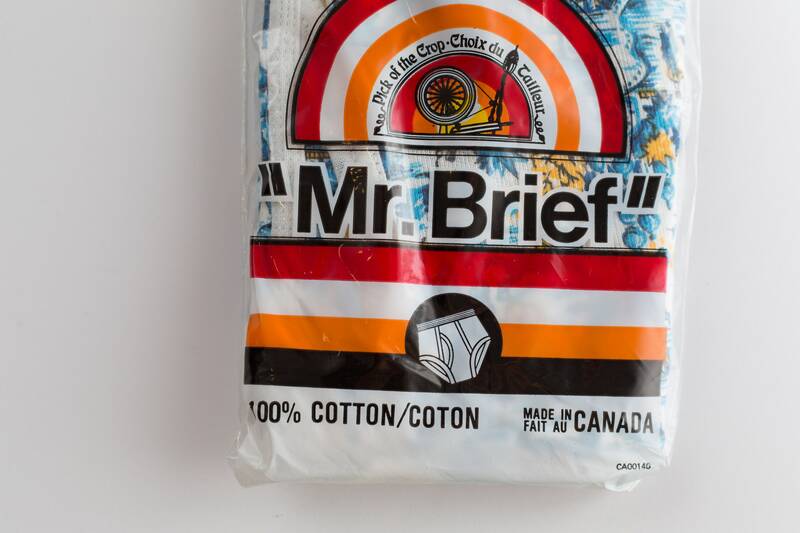 Men's briefs like no other! 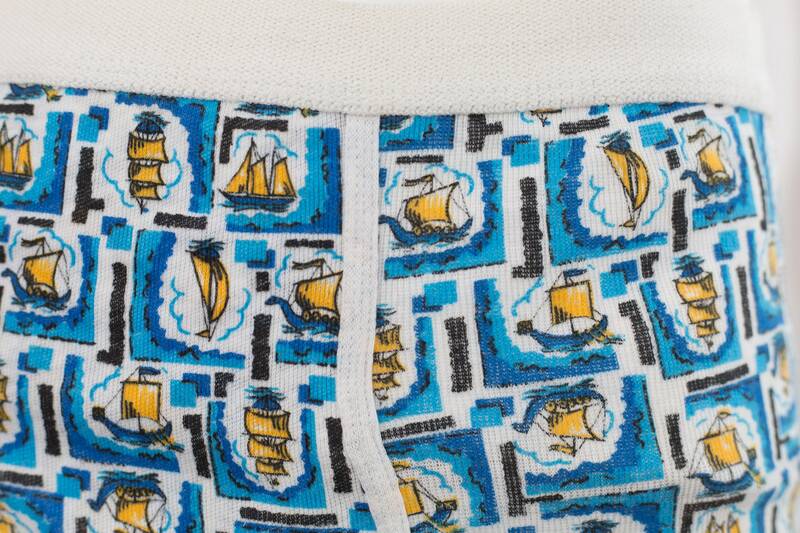 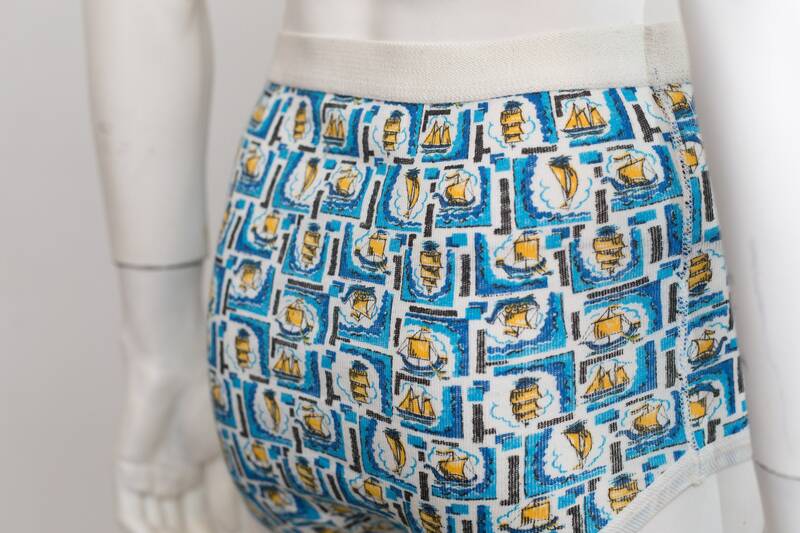 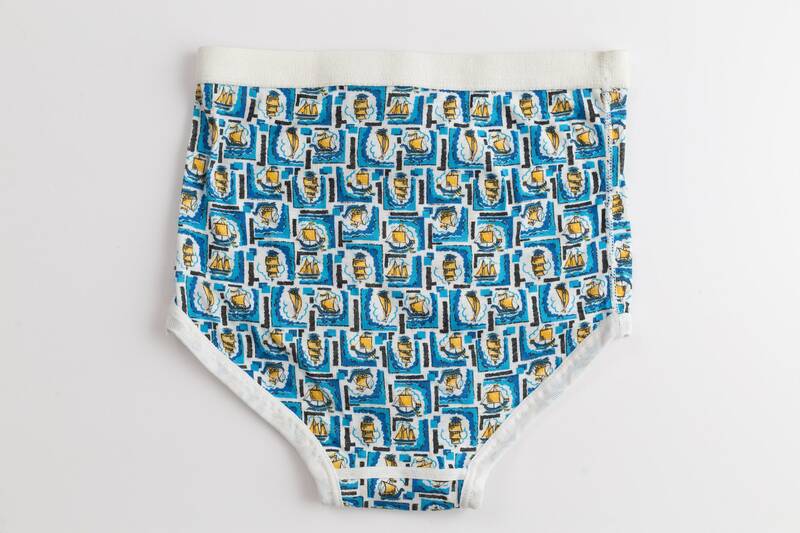 This funky pattern features a blue nautical theme print on a stretchy material. 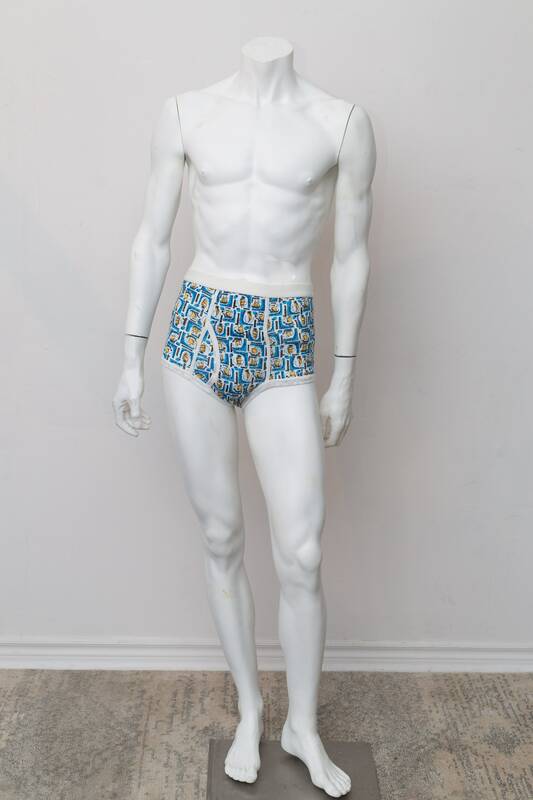 The unusual and rare briefs, high waisted in style, have an elastic waistband and front flap. 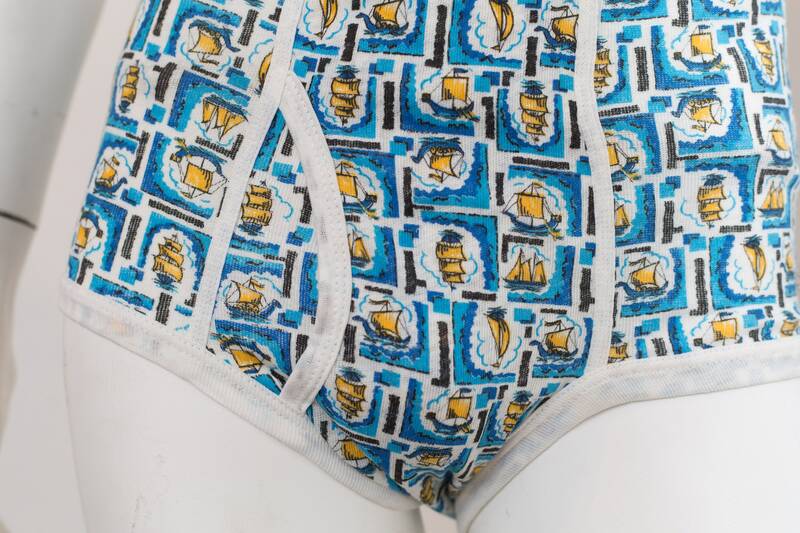 They date to probably the late 1970's.